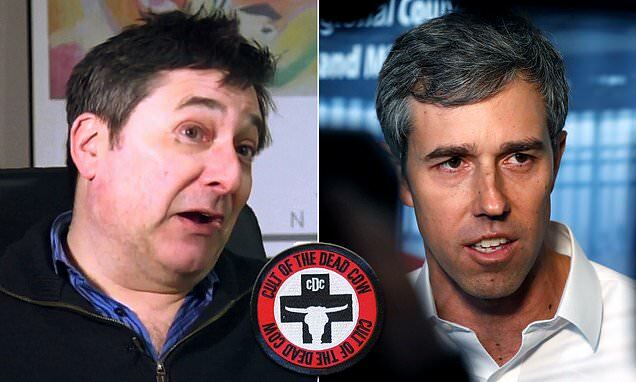 Beto O'Rourke benefited from a deal his former hackers cut with Reuters reporter Joseph Menn to keep the former congressman's membership in the 'Cult of Dead Cow' a secret until after the 2018 Senate race. Menn recalled in an interview with Reuters that he figured out a former member of the elite hacking group was in Congress but he didn't know which lawmaker it was. And the lawmaker's fellow hackers protected his identity, telling Menn they would not confirm it was O'Rourke unless the Reuters journalist promised not to write about it until after the November election, when O'Rourke was challenging Republican Sen. Ted Cruz. 'While I was looking into the Cult of the Dead Cow I knew they had a member who was sitting in Congress. I didn't know which one. But I knew that they had a member of Congress,' Menn told Reuters.